The internet is a wonderful thing; you can promote your school to a wide audience and engage with students, parents and staff in real-time, from anywhere you choose! Unfortunately, being online can expose your school to unwanted engagement too, and often this is represented in your school’s Google reviews. 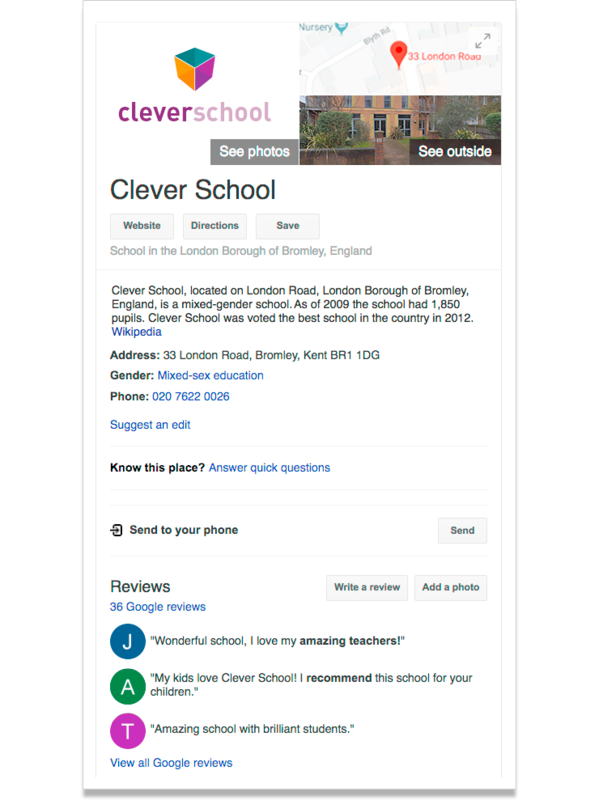 We’ve had a number of schools contact us to ask how to remove negative reviews, so here’s an overview of how your ‘Google My Business’ page on Google works and what to do if you spot inappropriate or untrue reviews about your school. Most businesses, or schools in this case, will have a ‘Google My Business’ page, which anyone can view if they search for the name or address of your school. Your school’s details can be viewed in Google Maps so people can find directions to visit you or get an idea of where you’re located. Your Google My Business page also includes reviews about your school, with a star rating system that can be allocated when the review is written. Anyone can write a review about your school, even if they are not, or have never been, a pupil, parent or staff member at your school. You are able to claim your page through Google My Business and, thereafter you will able to post photos, add information about your school, provide links and contact details, as well as read and respond to reviews. I can see our school business details but I have not set up Google My Business – help! No problem, Google will show businesses through search and maps that may not have been set up on Google My Business. Once you have logged into your Google account, you can claim the business listing and verify the page to give you manager rights over the content. If the page has a manager already, you are able request a transfer of the Manager rights to yourself. It may be worth checking your Google account and verifying with your colleagues that this has not already been done. How do I verify our school’s Google My Business account? 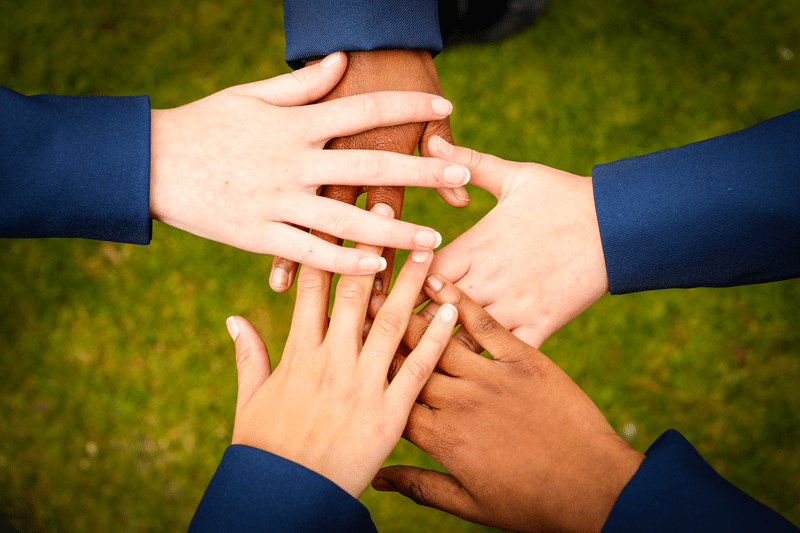 To effectively manage your school profile you will need to verify your account. Once you have logged into Google My Business a notification will show on your homepage if you are pending verification. This can be done instantly on the phone or through post, which can take a few days. How do I respond to a review on Google My Business? Positive reviews on Google are a great way to build your online presence and are good for search engine optimisation (SEO) too. It is best practice to respond to every review your school receives, even if this is just to say thank you for some kind comments. Through your My Business home page you can respond to reviews under the review section in the left side toolbar. Please note you will need to verify your account to do this. Remember that you are posting on behalf of the school, so professional and friendly language is essential – your response reflects your ‘customer service’. Try not to be drawn into any disputes or strong opinions. Always thank reviewers for their feedback, good and bad. If you are dealing with a bad review it can be a good idea to offer an alternative form of communication to follow up on their comments. Suggest a call or an email to resolve any matters. Taking complaints out of the public space shows professionalism and protects your online profile. Keep it short, all responses should be to the point and brief. One or two sentences are ideal. Can I remove reviews on Google My Business myself? In short, no – you cannot directly remove reviews yourself. However, there are ways to request removal of comments or reviews if they fit into Google’s criteria. If you have received a review that looks like spam or is offensive, you can flag this and request its removal. You are also able to request the removal of reviews that are off topic and do not refer to experience with your school, or contain abusive language. Once a review has been flagged, Google will assess the contents – this can take a few days. Who is responsible for the school’s Google My Business page? As spokespeople for your school and services, the responsibility for management of your Google My Business Account sits with your school. While Google may pull location and contact details from your school website, you will need to create a My Business account to manage these, along with reading and responding to reviews. How can I grow my online presence with Google My Business? You can use your Google My Business page to raise your school’s profile by encouraging positive reviews, posting pictures and updating regular information about your school activities. A strong Google My Business page will boost your rankings and present an up to date presence when you appear in Google searches. As with all online school marketing activity, the more active you are, the better! Google rewards schools using an algorithm that calculates which pages to return most prominently in the search results. With a responsive school website, strong SEO strategy, management of your social media channels and, as detailed here, a good understanding of how to use your Google My Business page, you can ensure you’re first choice for people searching for schools in their local area! Any questions? We’re always here to help! Call us on 0208 466 7222 or email [email protected]. Please note: we cannot manage your Google My Business page for you, or flag and delete inappropriate or negative reviews on your behalf.